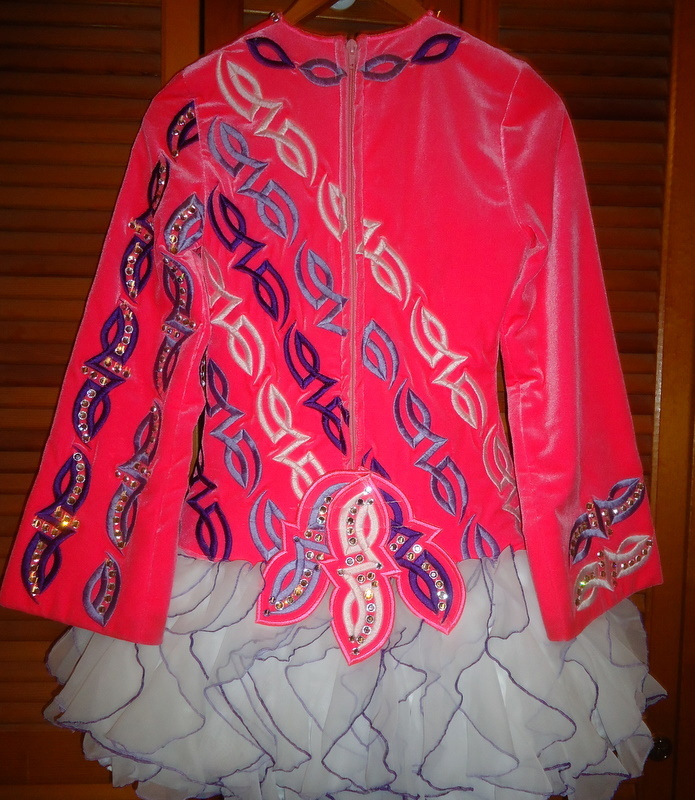 This is an eye catching Siopa Rince dress made in December 2010. 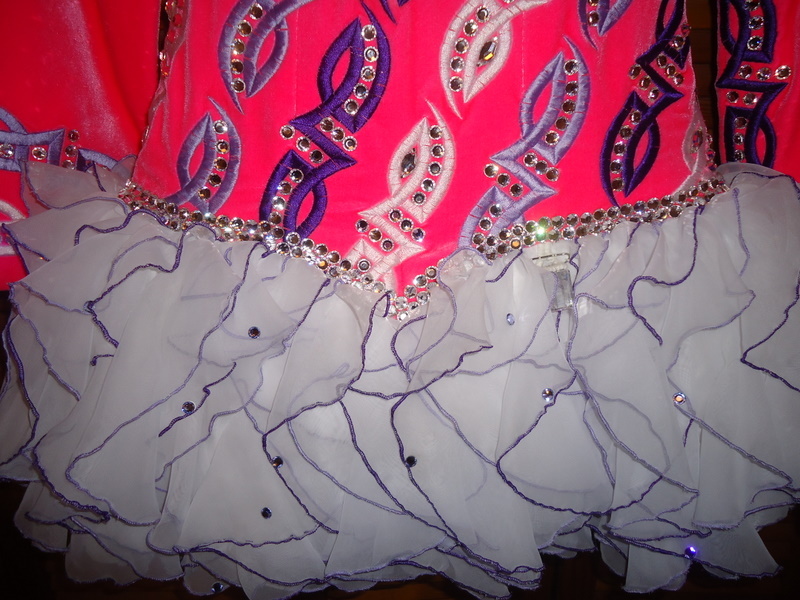 The dress is a bright pink velvet with purple and white accents and a modern white fairy skirt with purple edging. 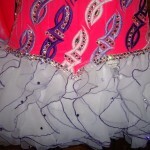 It has hundreds of crystals and really sparkles on stage. 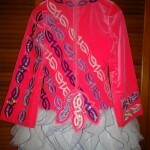 The dress has had only one owner and comes from a smoke free home. The dress comes with white bloomers, 2 matching headbands and matching accessories.